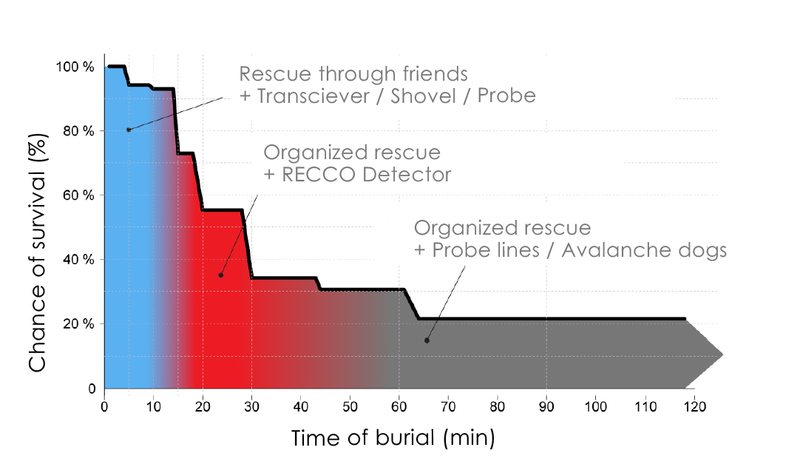 How does the RECCO® Avalanche Rescue Technology work? 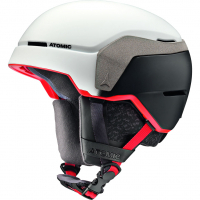 Home Blog How does the RECCO® Avalanche Rescue Technology work? RECCO® – there is a technology of a relatively small size, so small that you won’t notice while wearing it in your ski jacket. But there are some big questions surrounding this small gadget. Follow this article to explore more about the functionality of the RECCO® Avalanche Rescue Technology. 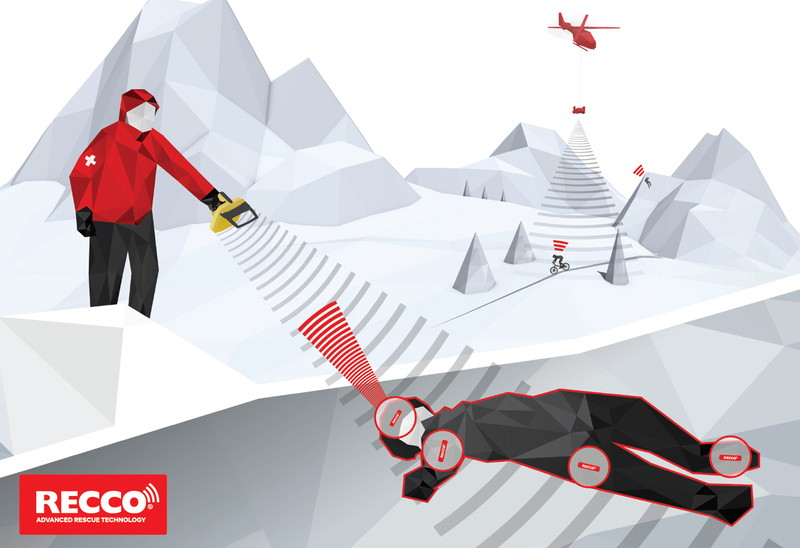 The RECCO® system is a technology which helps rescuers to find victims of avalanche buriers or to search for people which got lost in the outdoors. And it helps the victims to be searchable during such accidents. It consists out of two parts, a detector and a reflector. More than 30 years ago the first RECCO® systems weighted around 16kg, nowadays the detector is a 1kg light and handy device and the reflector was reduced to the size where you cannot even notice that you have it on you. The second part is the RECCO® detector, mostly used by fully trained mountains rescue teams. It sends signals which can locate the reflector. Once the signals reach the reflector it bounces back to the detector and warns the user of the detector about the location of the reflector. The max. range of this two-piece system is 200 m through the air and 30 m through the snow. The actual search range in practice although includes other variables: moisture content of snow, the direction of barrier and orientation of the searched device. The rule of thumb applies here – if you wear more reflectors it increases your searchability, so the signal can be bounced off in more directions from more than one place. Recco vs. tracker beacon what is better? An answer to this question might be simple but the explanation needs a bit more space. None of these two technologies is better nor worse, it is more like comparing apples with oranges. Avalanche transceiver and RECCO® reflector are two different technologies, which complement each other. If you have your RECCO® reflector on, it will help you to be found by professional rescuers, who are using RECCO® detector. But it won’t be of any use if your friends will try to search for you with their beacons, which might be a critical moment, as shown in the graph below. After an avalanche accident the first 10 minutes are a critical time, and usually, during the first 10 minutes, there are only those people available who are located close to you and have witnessed the accident. And the other way around – if you only rely on your RECCO® reflector, this technology won’t help you with finding any of your buried companions. Please note that RECCO® rescue system does not prevent you from any avalanche accident nor does substitute avalanche transceiver! If you decide to enter the area outside of the ski resort bounds make well-informed decisions based on facts and previous analysis of all factors that could be influencing the snow conditions. And in the best case, you take Avalanche Safety Awareness Courses before you start with any activities outside of the ski resort. WHERE DOES RECCO® COME FROM? The whole idea of creating the RECCO® system was a tragic avalanche accident in Åre, Sweden in 1973. This unfortunate event made the founder Magnus Granhed thinking about the idea of using electronic location devices for the purpose of avalanche rescue. After years and years of research the team of scientists came up with the first commercial prototype, that was ten years later, in 1983. In the ’90s, the RECCO® system transformed into a smaller and more portable model and became broadly accepted by rescuers. Now more than 800 ski resorts and mountain rescue organizations, worldwide, are using RECCO® with around 2000 detectors. 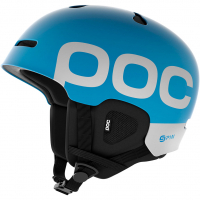 DO I HAVE RECCO® IN MY SKI CLOTHES AND PROTECTORS? If you would like to know if your outdoor clothing or ski/snowboard equipment includes the RECCO® reflector you have to read the product description carefully and look for the labels hanging with the price tags on your clothes. Your outdoor jacket might be labeled with the RECCO® label on some parts – such as sleeves, or just below the hood on the back side. 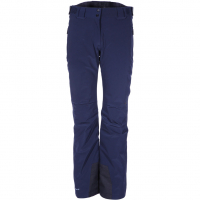 The common placement of RECCO® on ski pants is on the bottom part, close to your ski/snowboard boots. Newly Ortovox added RECCO® reflectors to their climbing backpacks. And protectors? You have to look carefully in the description of the product or ask your sales assistant. 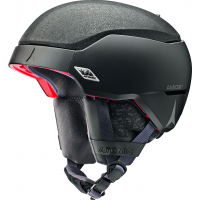 You can find the RECCO® reflector in selected ski-touring helmets or bike helmets. If you are about to leave the bounds of ski resort always think about the safety first, not only yours but also of all the people which might be influenced by your behavior – such as other riders that you share your space with. You never know if there is a person in your fall line which could be buried in an avalanche which you have triggered. Therefore always look around and leave enough space between you and the fellow riders. With more and more unstable winter conditions the avalanche danger is constantly increasing. Keep in mind that the signals can’t be transmitted in water if the snow is really heavy and wet, the RECCO® Avalanche Safety System might lose its functionality. And never rely on this system as your only option to be searched! 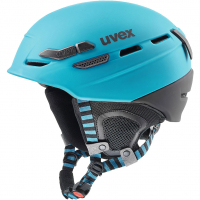 → Here you can find a detailed guide of further avalanche safety equipment.